Today, Glimpses v2.2, an app that creates Still Motion Videos with just a few clicks, is available for download from the Mac App Store. It’s a free upgrade for everyone who purchased it before. A free, 15-day trial is available for download here, even if you’ve tried it before. 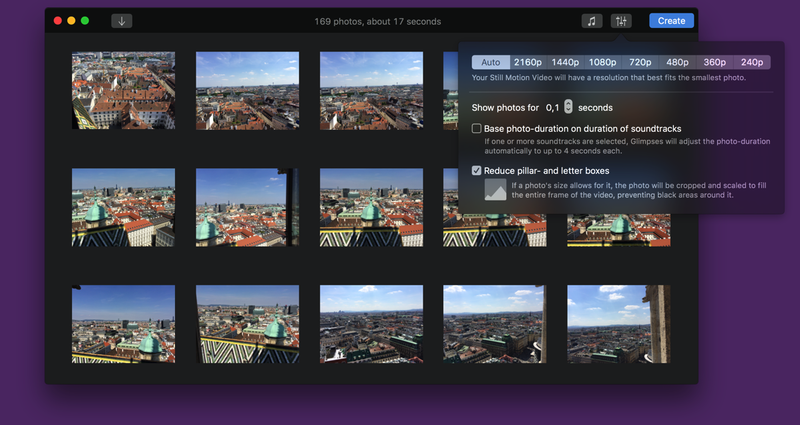 When you want to show your awesome photos from your recent vacation but there are just too many, you can either sort through them and heavy-heartedly decide which ones to toss aside, or you show them all – with a Still Motion Video. Still Motion Videos show photos in very rapid succession, usually for the fraction of a second. Mix that with a soundtrack, and you can make your video action-packed and powerful, or mellow and soothing. Or even both. Glimpses lets you create such high-quality videos with just a few clicks. 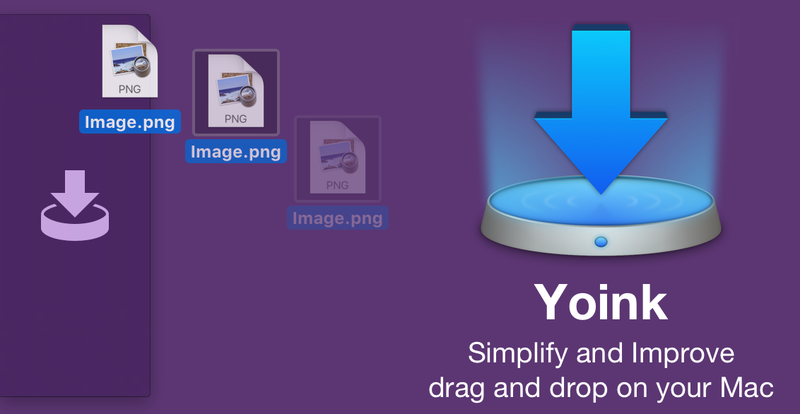 Import your photos (from your Photos.app library, a hard drive, Flickr or Instagram), add one or more soundtracks and you’re set – Glimpses figures out the rest. The update adds support for the new MacBook Pro’s Touch Bar. P.S. : I’m having issues with these 3 GIFs looping. Please reload and scroll down to them if you’d like to see them. My apologies. Additionally, the update improves its QuickLook Plugin so Glimpses project previews are generated a little quicker and more efficiently. And lastly, I’ve improved the connection to Instagram, so that should work more reliably. 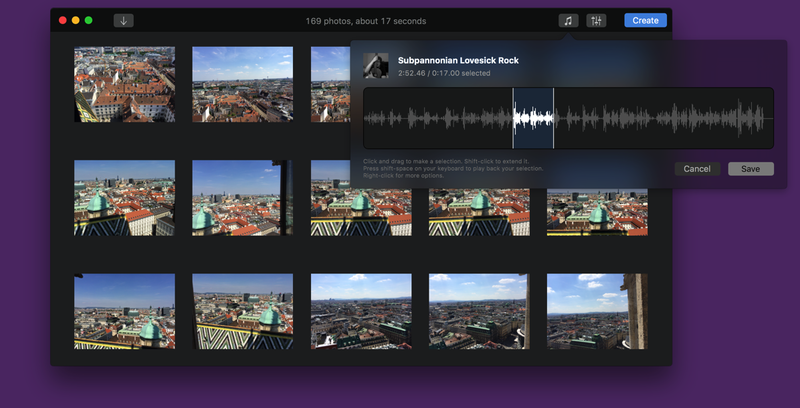 Glimpses 2.2 is available for purchase on the Mac App Store for the price of $19.99 / £14.99 / €19.99. It is a free update for existing customers of the app. A free, 15-day trial is available on the website, even if you’ve already tried the app. Glimpses runs on Macs with OS X Yosemite or newer. If you’re interested in writing about Glimpses, you can download its press kit here, which contains screenshots, a short sample video and further information. A limited amount of promotional codes are available to members of the press at press(at)eternalstorms(dot)at. I’m looking forward to hearing from you and to see what you think about Glimpses 2.2. If you like the app, please consider leaving a little review on the Mac App Store, it would help me out a lot! Should you have any feedback or questions, please be sure to get in touch, I’d love to hear from you!